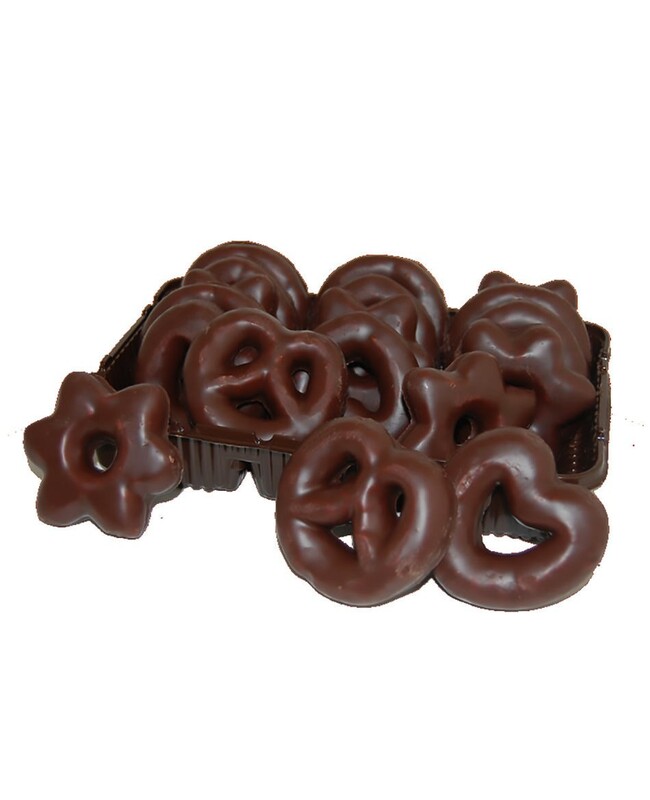 Pure pleasure guaranteed with these delicious soft gingerbreads coated in dark chocolate. 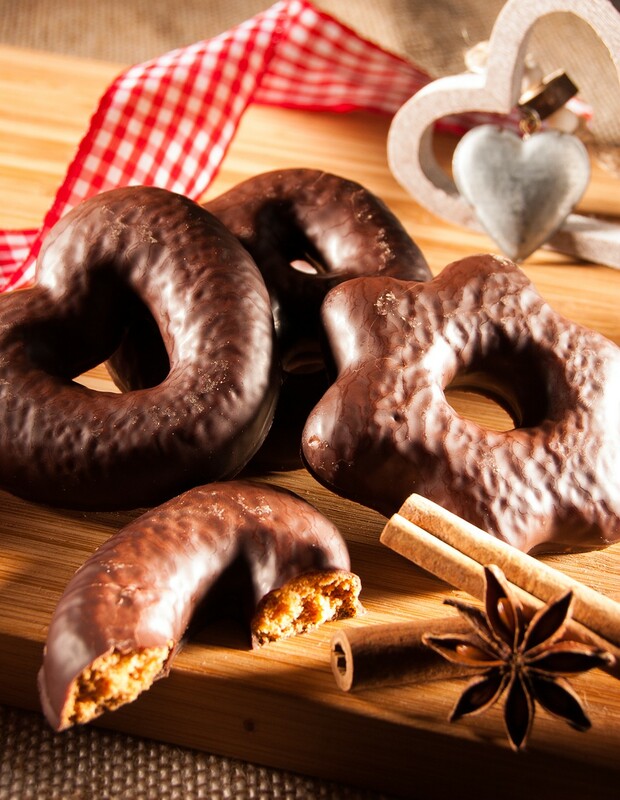 Typically Alsatian with their star, bretzel and heart shapes... you won't be able to resist for a minute! Gingerbread coated with 25% chocolate: wheat flour (gluten), black chocolate 25% (cocoa mass, sugar, cocoa butter, emulsifier: soy lecithin), glucose-fructose syrup, invert sugar syrup, caramelised sugar syrup, sugar, palm fat, raising agents: ammonium carbonate, potassium carbonate; wheat starch, spices, caramelized sugar syrup, acidifier: citric acid, tartaric acid. Gluten, soya. May contain traces of milk, egg, and nuts.